Our range of products include pvc pipe fitting and polyvinyl chloride fittings. 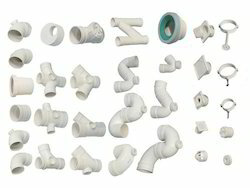 We offer a wide range of PVC Pipe Fitting. Our offered fittings are widely used to fit pipes in various directions. Obtained from dependable vendors, the provided fittings are manufactured using high-quality PVC and the night-loving methodology. 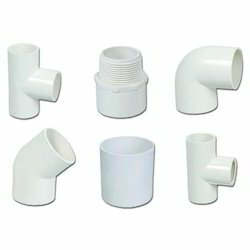 We cater to vast range of PVC Pipe Fitting. Polyvinyl ChlorideFittings or Polyvinyl Chloride, commonly abbreviated PVC, is the third-most widely-produced plastic, after polyethene and polypropylene. PVC is widely used in construction because it is durable, cheap, and easily worked. Looking for PVC Pipe Fitting ?